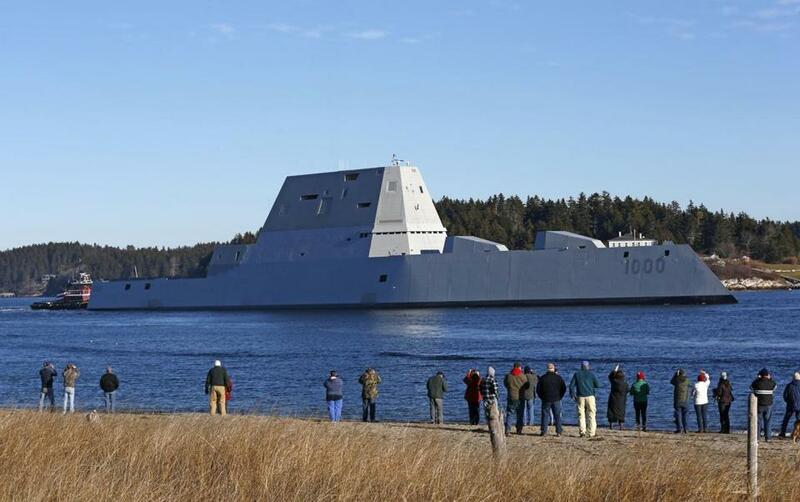 The US Navy’s first Zumwalt-class destroyer left the Kennebec River, passing a crowd of spectators near Fort Popham on Monday. Is this Maine-built destroyer a marvel, or a floating boondoggle? 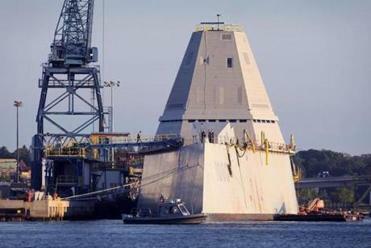 The $22 billion Zumwalt program is seen by numerous critics as a prime example of Pentagon budget bloat, delays, and misplaced priorities. ‘‘We are absolutely fired up to see Zumwalt get underway. For the crew and all those involved in designing, building, and readying this fantastic ship, this is a huge milestone,’’ the ship’s skipper, Navy Capt. James Kirk, said before the ship departed. Critics say the ‘‘tumblehome’’ hull’s sloping shape makes it less stable than conventional hulls, but it contributes to the ship’s stealth and the Navy is confident in the design. Eric Wertheim, author and editor of the U.S. Naval Institute’s ‘‘Guide to Combat Fleets of the World,’’ said there’s no question the integration of so many new systems from the electric drive to the tumblehome hull carries some level of risk.